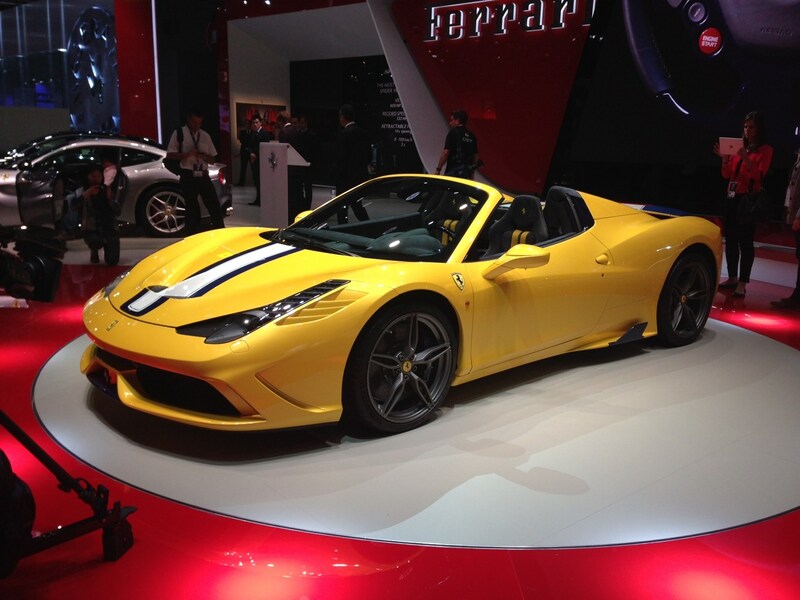 The Ferrari stand was abuzz with news of a special edition new convertible version of the ultra-fast 458 Speciale. It’ll be the most powerful convertible the firm has ever built, and there are only going to be 499 models produced, so get your order in quick. Dubbed the Speciale A (the A standing for Aperta, which is 'open' in Italian), this stunning sports car uses the 'regular' Speciale's 4.5-litre V8 petrol engine to generate a massive 597bhp, all fed through a lightning-fast automatic gearbox to the rear wheels. Performance figures make for exciting reading: 0-62mph flashes by in three seconds flat, 124mph takes 9.5 and top speed is still the interesting side of 200mph. Its clever folding roof opens and closes in just 14 seconds, the weight penalty over the coupe version just 50kg. That’ll be why performance hasn’t suffered, then.